I had an American Shield service man came out to repair my forced hot air unit and was told it had to be replaced and would put in an order to replace it. American Home Shield notified me that my claim was denied and when I questioned their decision I was informed that they would replace the unit but that I would have $1450.00 in refitting expenses I check with several heating and air companies and was informed that the average cost of refitting was around $200.00 dollars and installation of a new unit with refitting was around $500 to $600.00. I asked American Home shield if they could give me the unit and have it installed myself, they said they could not do that but would give me $450 to buy the unit elsewhere. I check with the Home Depot and the cheapest inexpensive unit that I could buy from them was around $1000.00 plus tax. and that is without installation.When I told that to American Home shield they informed me that they could not pay more than what they paid wholesale. They would not give me the unit directly. This is a total scam as they know they pay more than $450 for the unit and want me to pay $1450 enough to cover their expense of purchasing the unit and enough for them to cover installation expenses. My next step is to notify the Better Business Bureau , I have already contacted the AARP fraud complaints and also gave a write up to consumers Pissed . If I have to contact my congressman to put in a complaint on Elder Abuse and company rip offs I will do that also. 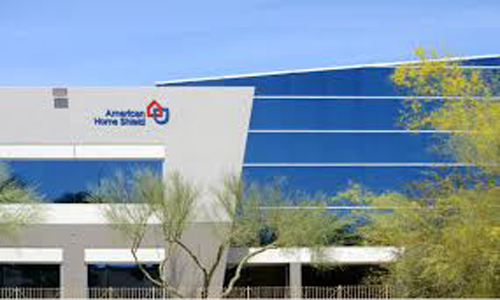 American Home shield is a a terrible dishonest company and all you have to do is check them out on line to see the many, many people who were ripped off by them. Stay away from this company and you will save a lot of money and aggravation . The Better Business Bureau also does not recommend doing business with them. Your customer service is the worst. Phone call wait time always 30 min. – 1 hour or more. I paid my deductible for a service call in OCTOBER. I have yet to have my issue repaired. I am filing a complaint with the Better Business Bureau and calling the NYS Consumer Affairs. I am an American Home Shield policy holder. Your service is the worst I have ever dealt with. I have been on hold for 4 hours and 10 minutes! You obviously are on an extended vacation and your employee went with you! I called the corporate office and was put on hold just like trying to put in a service request. I wish some one from the corporate office would please call me. My policy number is 233363612. My phone number is on the policy. Call my phone number! I am an American Home Shield customer. I have attempted to reach you by phone this morning 1/11/19 to discuss my renewal. I have been waiting on three different phone calls, one time 28 minutes, second time 35 minutes and the last time 26 minutes. After waiting 28 minutes, a person took my call and referred me to an agent to no avail. This is very frustrating and poor customer service. I wanted to know why my agreement increased for the renewal. I still have no response. I am not certain I want to renew due to service or lack of service I received today. Thank you, I hope you receive this message. I would hope that one of you would actually call me on the phone, and if it goes to voice mail, PLEASE leave a name and number, and I will return your call immediately.